I first visited Istanbul in the 1970s, and some of my most vivid memories of that trip are of the city's particularly colorful locals. Scruffy kids sold cherry juice, and old men would grab huge cucumbers from wheeled carts, then peel, quarter, and salt them, and sell them for pennies. While the Old World magic in many parts of the city has been plowed under by modern affluence, today's Istanbul is every bit as rich and rewarding as it was back then. 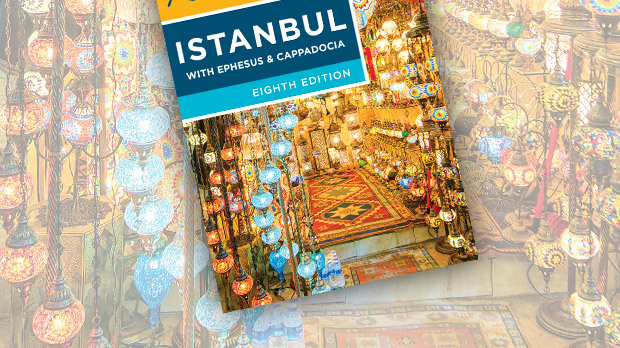 For thousands of years, Istanbul has marked the point where East meets West — a crossroads of civilizations. The city, so layered with rich history, was officially named "Istanbul" in 1923 with the founding of the modern Turkish Republic. 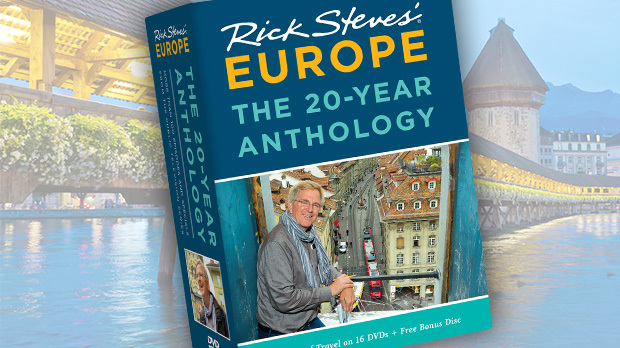 Before that it was called "Constantinople." Around A.D. 330, as ancient Rome was falling, Emperor Constantine moved the capital to the less chaotic east. It was named Constantinople in his honor. Then, in 476, Rome and the Western Empire fell to invading barbarians. Traces of the Roman capital remain in Istanbul. The Hippodrome was a racetrack, like Rome's Circus Maximus. Built in the fourth century, this square was Constantinople's primary venue for chariot races. Its centerpiece, a 3,500-year-old Egyptian obelisk, was originally carved to honor a pharaoh. What you can see there today is only the upper third of the original massive stone tower. The best look at ancient Constantinople is Hagia Sophia, considered one of the greatest houses of worship in both the Christian and Muslim worlds (today it's a museum). Built in the sixth century, this church marked the pinnacle of the Byzantine glory days, boasting the biggest dome anywhere until Florence's cathedral was finished 900 years later. 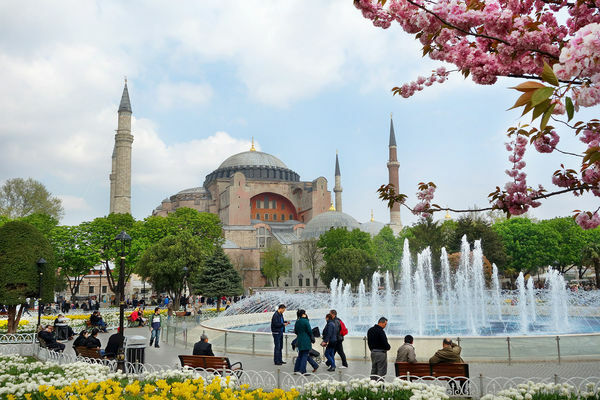 After the Byzantine Empire collapsed in the 15th century, the Ottomans turned it into a mosque, adding minarets and plastering over Christian mosaics. The prayer niche was shifted a bit off-center so it would point toward Mecca, rather than Jerusalem. Facing Hagia Sophia is the Blue Mosque. The area in between is the historic and touristic center of Istanbul, with blossoming trees, refreshing fountains, and a mix of strolling tourists and locals. On my last visit, I had to just sit on a bench and marvel at the almost Parisian elegance of the scene. Services are segregated by gender: The main hall is reserved for men, while the women's section is in back. While some may view this as demeaning, Muslims see it as a practical matter: Many women would rather have the option of performing the physical act of praying in private. One time, I visited in the evening, when once again it was the neighborhood mosque in action — not a tourist in sight. A window was open for ventilation. I peeked through to find it was the ladies' prayer zone. I drew back, suddenly feeling a twinge of peeping-Tom guilt. To get a full appreciation for today's Istanbul, you must leave the sightseeing core and explore the lively, more cosmopolitan neighborhoods. Istanbul's contemporary heart is Taksim Square, circled by endless traffic and highlighted by a statue commemorating the father of modern Turkey, Mustafa Kemal Atatürk. The square marks the start of bustling İstiklal Street, lined with shops and eateries. 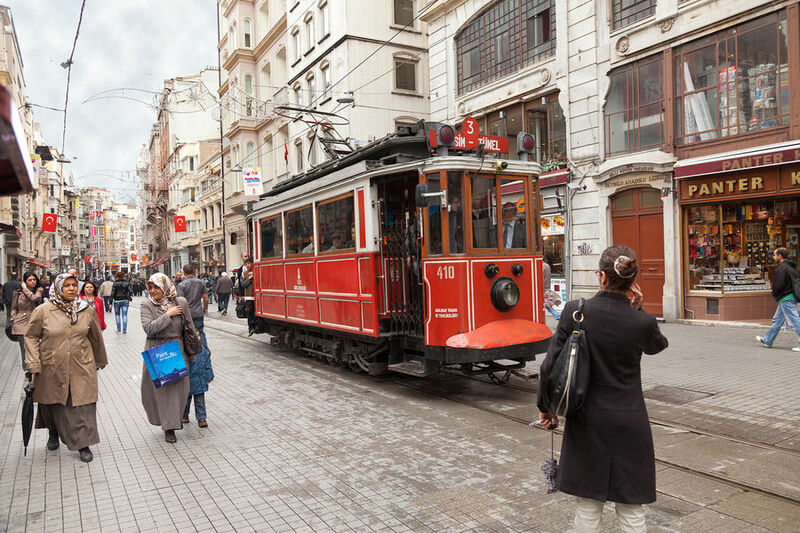 İstiklal offers an enticing parade of taste treats. Carts and hole-in-the-wall restaurants sell traditional foods like simit (sesame seed bread rings), gözleme (flatbread folded over cheese, potatoes, and other fillings), and döner kebab (meat grilled on a revolving spit and served in flatbread). Windows display towers of honey-soaked baklava and Turkish delight, a sweet gooey treat. At stalls, you can sample a local favorite: kokoreç (sheep intestines, grilled and served with tomatoes, green peppers, and fresh herbs). Strolling this mostly pedestrian boulevard from one thriving end to the other is a joyful ritual for me every time I'm in town. And it changes with each visit. As Turkey becomes more affluent and Western, the action here becomes more and more vibrant. This is today's Turkey: a melting pot of 20 or so different ethnic groups (Turk, Kurd, Armenian, Jew, Greek, etc.) and styles from the very traditional to the very latest. The city is a huge draw for visitors — still a crossroads of humanity. And according to the Turkish proverb, every guest is a gift from God.